If you are totally new to embroidery, you may not be able to tell what makes a good embroidery service provider. After all, is the embroidery done by different providers similar? Before we go into what makes a good embroidery service provider, let us first understand the basics of embroidery. Is there good embroidery and bad embroidery? The answer is yes. Firstly, before we can embroider a design, we need a digitizer. A digitizer is someone who can convert graphics and illustrations to a file that can be read by the embroidery machine. This means telling the machine exactly what type of stitch to use, when to stop and cut threads, the direction of the stitch, the tension of the stitch etc. A good and experienced digitizer will be able to know when to use what type of stitches, how to manoeuvre curves, and design something that is most pleasing to the eye, as well as durable. A good embroidery service provider will always have professional and experienced digitizers to ensure that the results are good. Here at Ark Industries, our digitisers will recommend alternative choices to our customers to come up with a great visual result in the end. For example, if direct embroidery is not suitable for a particular apparel, perhaps our digitisers may recommend doing an iron-on embroidery badge to be made instead. A badly embroidered logo will cause the surface of the garment to appear wrinkly, puckered or bunched up. There are many possible reasons as to why the fabric would bunch, hence an experienced, proficient embroidery service provider will be able to take the necessary steps to prevent such occurrence. 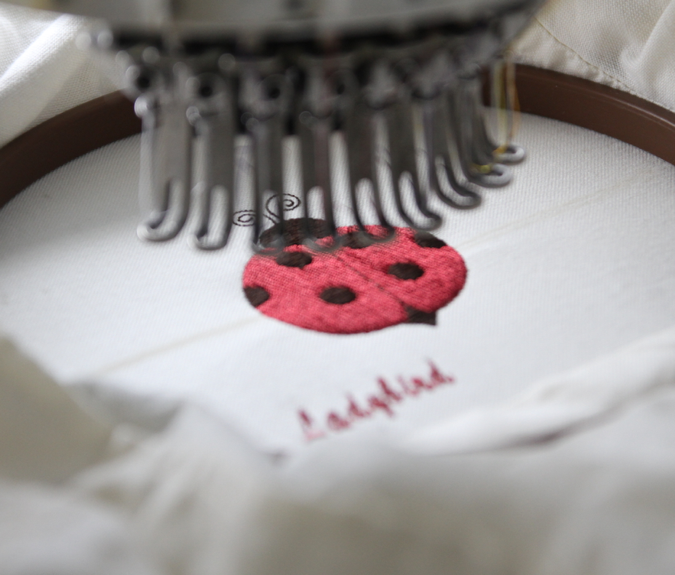 Embroidering text or small text on fabric, if not done well, will look out of shape and difficult to read. A professional digitiser with high standards will make several adjustments through rounds of tests to ensure the best visual result is produced. 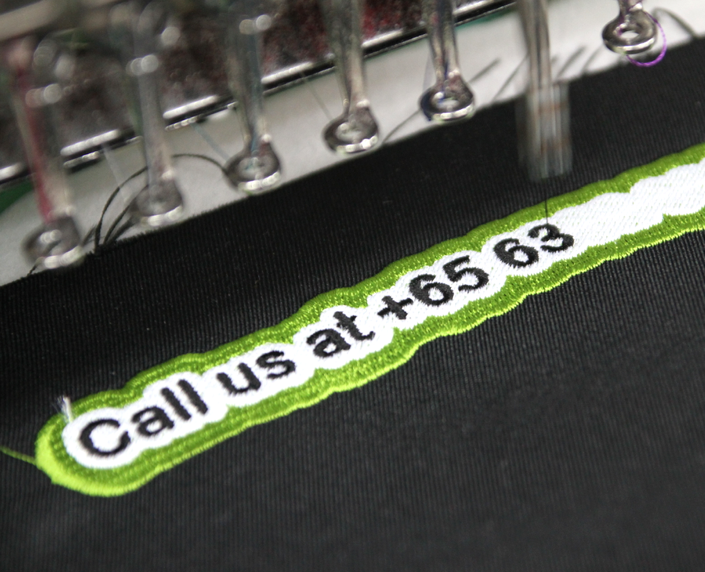 We will provide embroidery samples for our customers to approve before doing the embroidery for the bulk of the order. A reliable embroidery service provider will also ensure that loose threads are all trimmed off and that the embellished products are well packaged for customers to receive. The type of the thread used by the embroidery service provider also plays a big step in the final output. 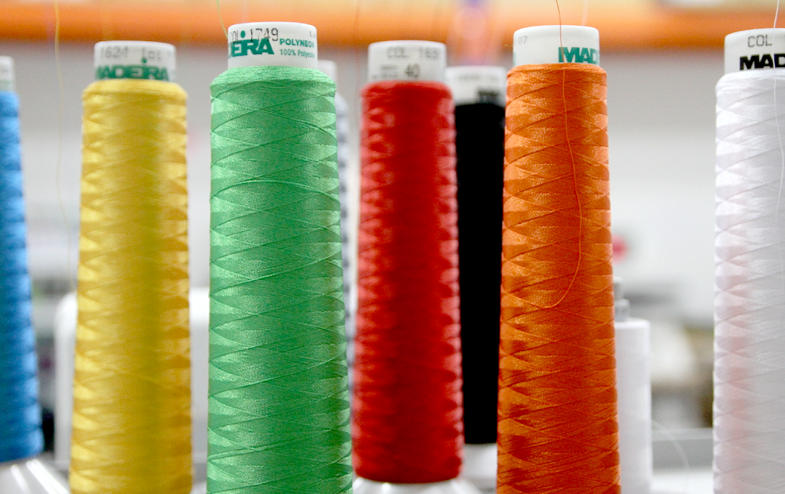 A good thread will provide lasting colour and exceptional durability; it has been said that even after the garment has disintegrated, the embroidery will remain! Good threads will not run colour, and will not fade in the long run. This is especially useful if you are embroidering on a uniform and expected to wear the uniform for a long time. When choosing the right embroidery service provider, do seek out recommendations or look for experienced service providers that can do a great job and avoid embroidery pitfalls. At Ark Industries, we only use the best raw materials such as threads, the best machines and excellent digitizers to ensure that our embroidery is always good. We even have quality checks to ensure that each product lives up to our quality mark. With Ark Industries’ local production line, we are also able to quickly and efficiently deliver superb embroidery fast. Call us today for a discussion.